We’ve posted on some crazy recreational vehicles over the years, as well as some expedition vehicles that make us drool. 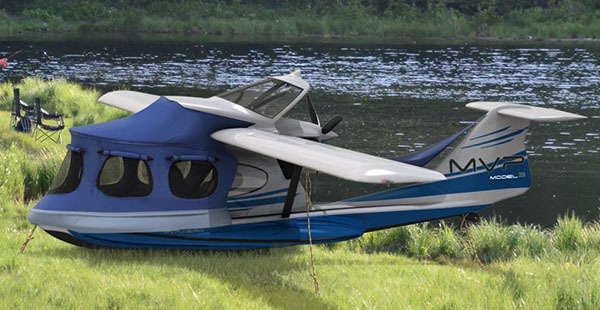 But this airplane/boat/camper called the MVP by MVP Aero takes off-road to a whole new level. Billed as “the world’s most versatile plane” by the company, the MVP looks like a lot more than simply a float plane. The MVP is a “triphibious” airplane first, meaning it can land on earth, snow or water depending on gear. 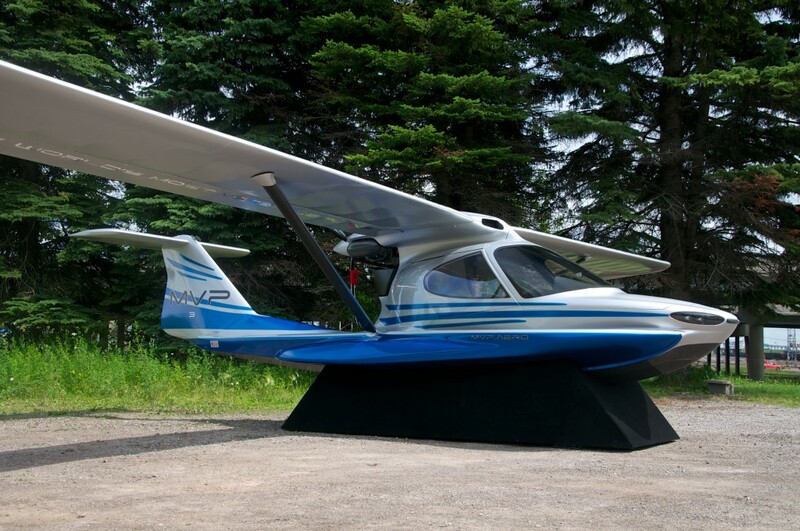 Certified as a Light Sport (S-LSA) airplane, it will cost about $189,00 when it finally hits the market in about 5 years. Some kits might be available earlier for $169,000. Both will be sold worldwide. If the finished model lives up to company promises, the MVP will pack a lot into a small footprint. It is already more than just a dream, with a physical mockup revealed at the EAA AirVenture show in Oshkosh, Wisc., in July 2014. 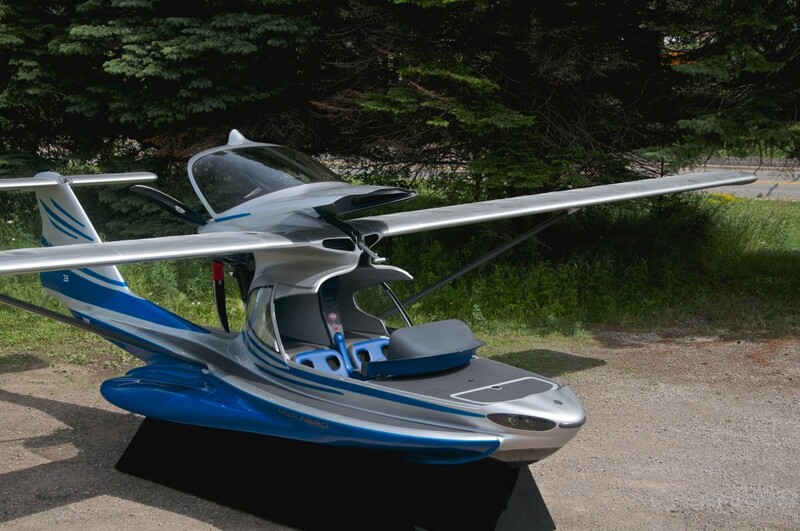 With a retractible instrument panel and canopy, the nose of the airplane opens wide to resemble a bass boat. The plane can be outfitted with a pedestal seat in the front for fishing or other boating activities. The engine can be run with the canopy open, allowing the users to motor along to coves or fishing spots. When it’s time to call it a night, a tent built into the canopy unfurls to cover the entire front of the airplane, creating about 9 foot long by 5 foot wide sleeping platform, big enough for two people to stretch out and sleep on a fitted air mattress. 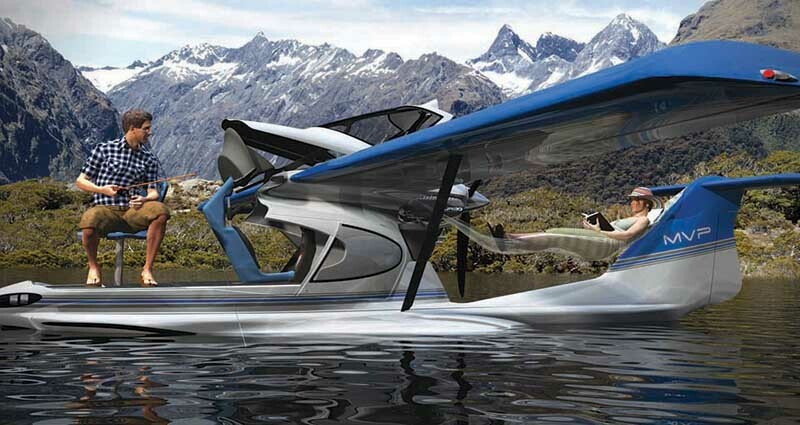 To travel over the water or berth in marinas, the MVP has on-the-water folding wings. 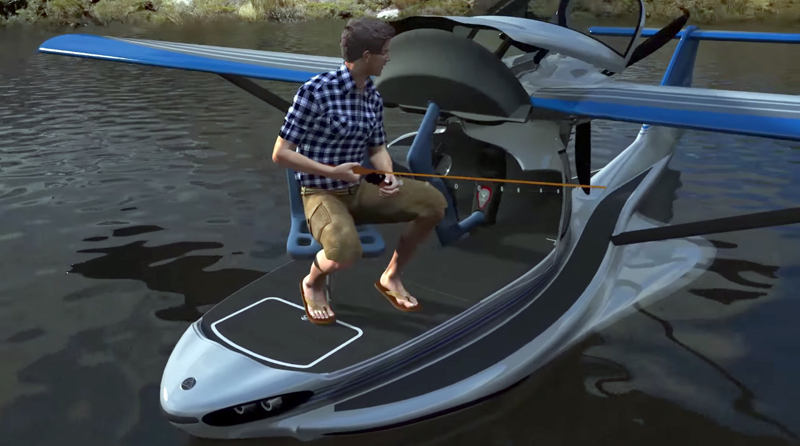 You can taxi up close to docks using an on-board trolling motor. Close in navigation is aided by a bow thruster integrated into the bilge. The MVP will come with a few engine options, but is designed with the Rotax 912/914 series powerplant in mind. It will have a maximum cruising speed of 104 knots at sea level and useful load of about 450 pounds. Of course, you’ll need a pilots license and plenty of training to use the plane safely, but for those with big budgets and skills to match, it sure does look cool. 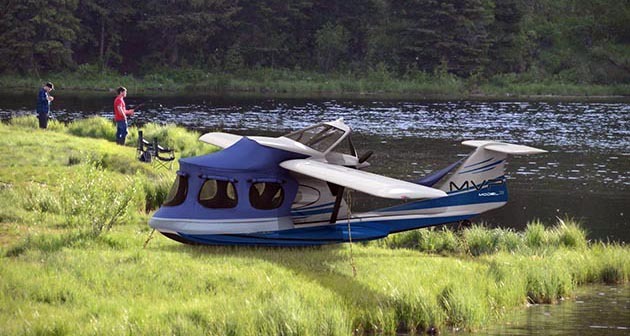 And while it’s hard to say whether it will be more novelty than functional, the flying camper is a dream worth dreaming.